With this book we hope to show the existence of a strong foundation for establishing a more customer-oriented approach in learning and working; the goal is to empower individuals by offering learning made to measure, using a VPL-approach. In other words, a personal strategy for lifelong learning. This book tries to catch a glimpse of this nearby future. 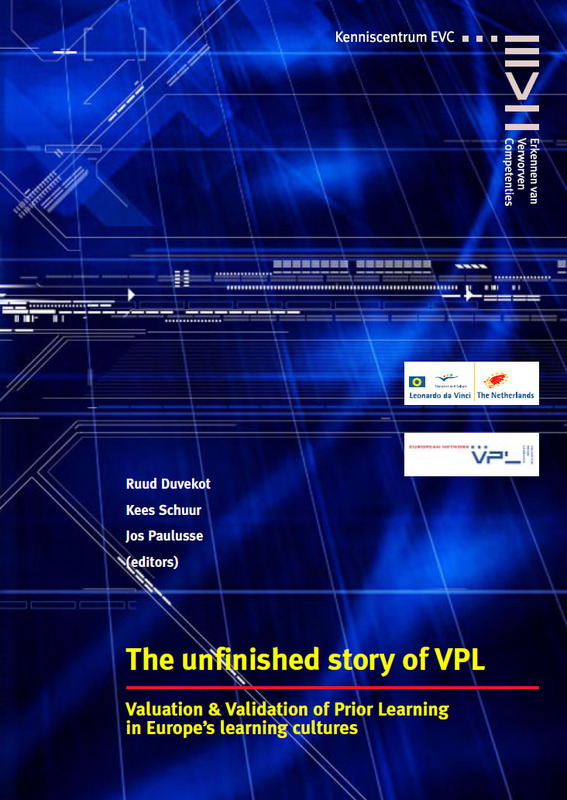 Therefore, implementation of VPL is still an unfinished story! During the past three years the Leonardo-networkproject Valuation (and Validation) of Prior Learning (VPL) has been working on the research and knowledge exchange of VPL in European practices. The result of this work is presented in this book. Chapter 1 is representing this unfinished discussion, focusing on the VPL-model for implementation on organisational level. The other chapters are contributions showing the details of VPL-implementation in some countries. The last article tells us more on thensomewhat missing learning culture in the presentation of the network, i.e. the eastern European learning culture. The VPL-network consists of a wide range of disciplines: research and knowledge organisations, companies, ministries, vocational colleges, branch organisations, umbrella organisations, labour organisations, etc. to establish a sustainable organisation for sector, regional or national centres for VPL in Europe. The VPL-Network focuses specifically on organisations, institutions, policy makers, etc. who are in the position to use VPL in their own practice or to stimulate other organisations to do so. These organisations have responsibilities for the development, presentation and implementation of systems for valuation and validation of prior learning. By working with these so-called stakeholders the network hopes to be able to reach the European citizen his- or herself so that they learn to use the VPL-systematics to create their own opportunities in society. With this way of working the network operates as a forum of experts originated from various disciplines, various kinds of expertise and backgrounds. This multifunctional group discussed the development and implementation of Valuation and Validation of Prior Learning, reported on the outcome of these discussions and produced several reports for involved organisations and policy makers concerning the way to start dealing with VPL in any given context.